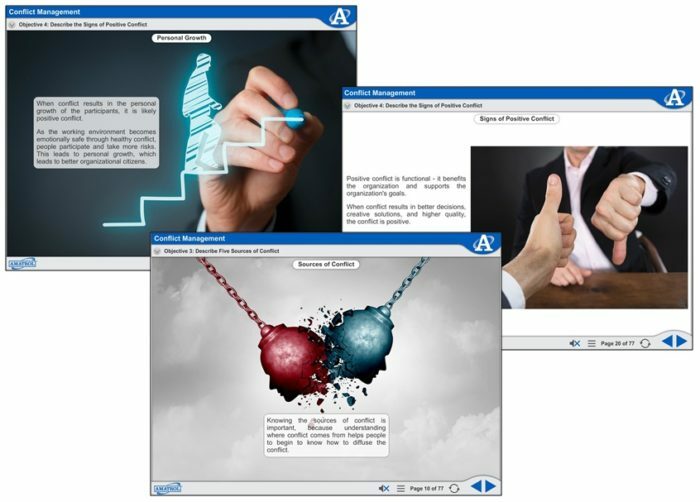 Amatrol’s Conflict Resolution Multimedia Courseware (MXPD102) acknowledges and defines conflict in the workplace. Learners develop effective strategies that are often used to manage it. The course teaches learners how to identify sources of conflict and how to categorize the conflict as positive or negative which impacts how they handle it. Conflict Resolution focuses on the key contribution listening makes and the skills and strategies needed to minimize the negative effects of conflict.